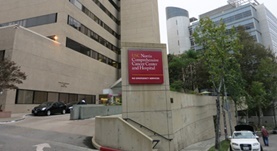 Dr. Imran Siddiqi graduated from the University of California Irvine, School of Medicine and completed both his residency and fellowship program at the UCSF. 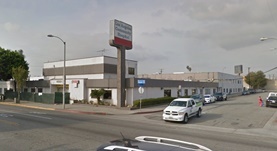 He is specialized in Pathology and board certified in Anatomic & Clinical Pathology and in Hematology. 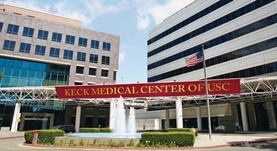 Dr. Siddiqi has been in practice for more than 11 years and is affiliated with the Keck Hospital of USC. During his career, he has also contributed to several publications of clinical interest. Dr. Imran Siddiqi has contributed to 3 publications. Characterization of a variant of t(14;18) negative nodal diffuse follicular lymphoma with CD23 expression, 1p36/TNFRSF14 abnormalities, and STAT6 mutations. Siddiqi, I. N.,Friedman, J.,Barry-Holson, K. Q.,Ma, C.,Thodima, V.,Kang, I.,Padmanabhan, R.,Dias, L. M.,Kelly, K. R.,Brynes, R. K.,Kamalakaran, S.,Houldsworth, J.; Mod. Pathol.. 1900 Jan 01. Pegylated interferon for the treatment of early myelofibrosis: correlation of serial laboratory studies with response to therapy. O'Neill, C.,Siddiqi, I.,Brynes, R. K.,Vergara-Lluri, M.,Moschiano, E.,O'Connell, C.; Ann. Hematol.. 1900 Jan 01. Dias, L. M.,Thodima, V.,Friedman, J.,Ma, C.,Guttapalli, A.,Mendiratta, G.,Siddiqi, I. N.,Syrbu, S.,Chaganti, R. S.,Houldsworth, J.; Leuk. Lymphoma. 2015 Aug 22.